It's Time For Another Wacky Wednesday Coffee Sale!! It’s Time For Another Wacky Wednesday Coffee Sale!! It’s time for another Wacky Wednesday Weekly Coffee Sale from Cross Country Cafe! Every Wednesday they have totally wacky sale prices on a variety of coffees including Keurig Kcups. Don’t forget shipping is free when you spend $59. or more! This week you will find Donut House Collection Cinnamon Roll Keurig Kcup coffee on sale for $11.99 per box of 24! With a slight hint of cinnamon that brings out the coffee flavor rather than covering it. This coffee will please any coffee drinker. 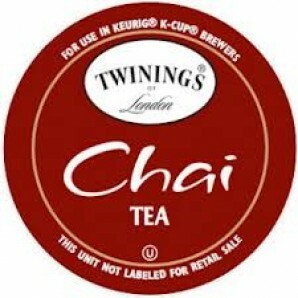 You might also like the Twinings Chai Tea Keurig Kcups that are on sale for $9.99 per box of 24! Fine black tea perfectly balanced with more of the sweet and savoury spice flavours of cinnamon, cardamom, cloves and ginger. Sale ends Tues., Sept. 10th at midnight EST.